National Guard Polaris Coastal DragonFire Yokley Racing Team driver William Yokley finished 1st Overall and 1st in the Side by Side Open Modified Class, and National Guard Polaris Coastal Yokley Racing Team driver Scott Kiger finished 12th in the same class after experiencing mechanical problems. 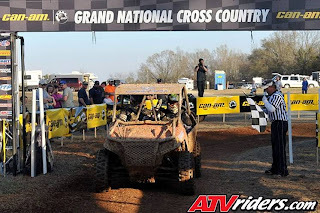 The National Guard Polaris Coastal DragonFire Yokley Side by Side Team traveled to Georgia anxious to see how the new Polaris RZR XP 900 would perform in GNCC style racing. They had a couple of WORCS races under their belts, but the eastern woods courses are much tighter and more technical. The GNCCs have more varied terrain with creeks, mud holes, steep hills, deep ruts and lots of tree roots. The machines run a narrower width in these conditions, than in the wide open WORCS desert races out west. Team drivers William Yokley, with guest passenger Miles Hallock, and Scott Kiger, with his mechanic, Joe Waligora, both started on the front row. When the flag dropped, Scott settled into 4th and William right behind in 5th. The game plan was to see how the RZRs worked in these conditions, and get a good feel, then try to pick up the pace as the race progressed. Neither driver had much practice time with the GNCC setup, so they were being cautious early on. Yokley moved up to 3rd on lap 3 with Kiger right behind. On lap 4, William took over 2nd, but Scott caught a tree root in one of the deep ruts, and damaged the A-Arm, causing the right front wheel to be kicked way out of alignment, making steering in these conditions almost impossible. Kiger dropped back to 14th, and tried to limp around to finish the event. He eventually finished in 12th position, which is as good as can be expected under the circumstances. There were many other competitors taken out by the ruts, rocks and roots today. On lap 5, William took over the lead, and felt comfortable while picking up his race pace. Yokley brought it home for the overall win with almost 4 minutes over 2nd place after the 8 lap, one hour race. 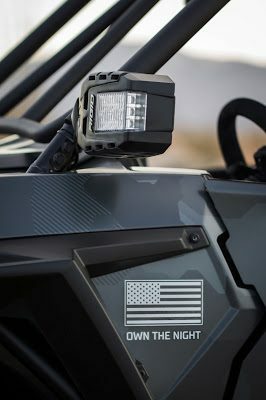 The team was very pleased with the performance of the new RZR XP 900s, and learned some things which will make them even more competitive. 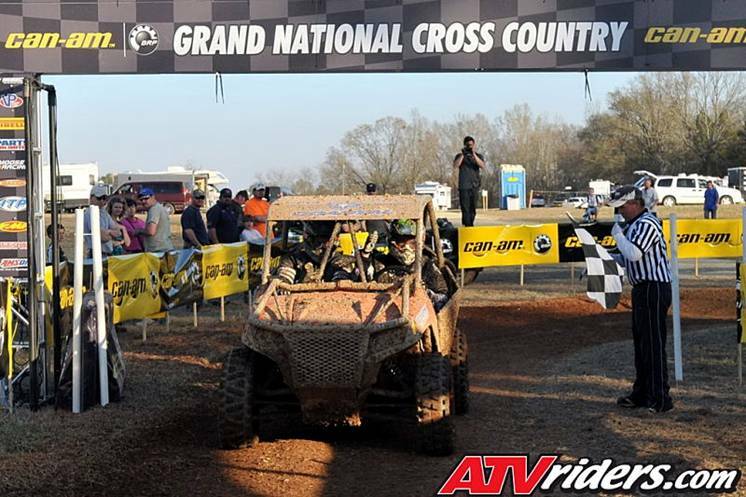 Yokley is presently leading the points in both the WORCS and GNCC series. Scott Kiger will compete in the next WORCS race in Lake Havasu City, Arizona on March 19, and both he and William will be back for the next GNCC Side by Side race in Union, South Carolina on April 9. We will see you there!